I’ve never been a huge germaphobe, but since having my daughter, I do wince a bit when nastiness heads her way. As a mom, I totally get that there will be plenty of times in her life when she’ll get good and dirty, and I’m okay with that. She’ll get germs on the playground and other kids will do all sorts of gross things like lick her cheeks and rub their grubby paws on her backpack. But at home, shouldn’t we do our best to keep things clean? I have an in-law whose personal hygiene is absolutely terrible. She’s actually an aunt of my husband’s, but she’s always around. She’s never had her own children and I know how much she loves my daughter, so I try to keep my trap shut and let her hang as much as possible. But her lack of cleanliness is just plain gross. 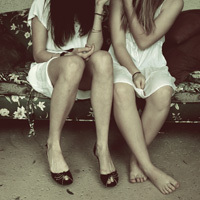 We are way past the point of not brushing the teeth or walking around my home with shoes on. 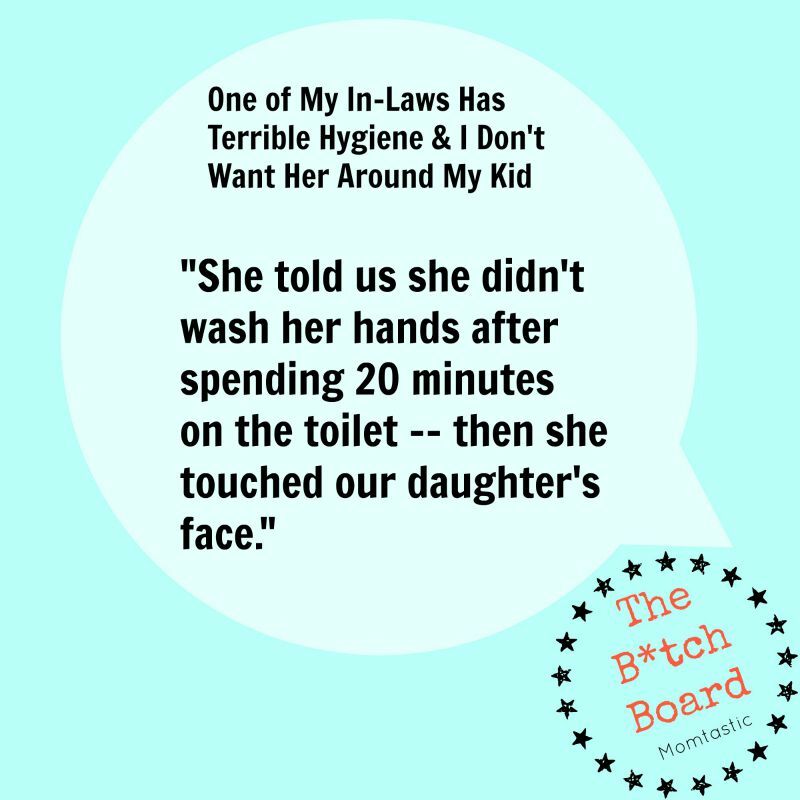 In fact, she told us she didn’t wash her hands (“There was no soap in the restaurant bathroom!”) after spending 20 minutes on the toilet… and then she touched our daughter’s face. Ew! I’ve never actually been to her home (we haven’t been invited, and my hubby says it’s gross), but from what I understand, it’s a hoarder’s paradise. And this doesn’t surprise me, because every time she brings a gift for my daughter, it’s something old, dirty, and plucked from a pile of crap she’s clearly had sitting around for years — or even, decades. We’re talking stuffed animals that are stained, dirty, and smell bad. A far cry from the types of things I like entering our home, let alone my girl’s room. But here’s the thing: I feel compelled to be extra polite to this woman because I’m a kind person, and because I care about my husband’s family. But as a mom, my first priority has to be my daughter’s health and safety. Sure, hanging out around someone who doesn’t bathe frequently isn’t necessarily dangerous, but letting someone touch my daughter’s face with unwashed hands that are covered in bathroom germs? I think I totally have the right to draw the line there. As for the latest bag of dirty stuffed animals, they’ve been stashed out of reach and are inching their way toward the trash. But any time I try to bring this woman’s terrible hygiene up to my husband, he gets needlessly defensive and the conversation never goes well. Is it too much to ask that this woman wash her hands after using the restroom, if only when she’s with our family? And maybe not bring old, dirty items in? When I got married, I was almost prepared for in-laws who are judgmental, needy, or jealous (we’ll save all that for another post!) but this is just plain gross. And I’ve had it! Can you relate? How would you handle this situation?